October 23, 2011 is World Mission Sunday, a day set aside by the Holy Father for all Catholics to join in both prayerful and material support so that the Gospel of Jesus Christ may be preached “to the ends of the earth.” World Mission Sunday is celebrated in every Catholic Church around the world whether it is in the great cathedrals of Europe or a tiny mud-walled chapel in the African bush. 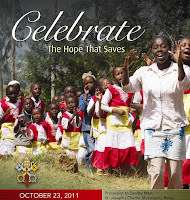 This year’s theme in the United States is “Celebrate the Hope that Saves!” Every day through word and deed, missionaries are hard at work spreading the Gospel because of the support of The Society for the Propagation of the Faith, one of the four Pontifical Mission Societies discussed in this column in the last few weeks. At the behest of the Holy Father, these Societies serve our brothers and sisters in places where they are even too poor for an address: places where many have come to know that the people of Boston can be relied on for prayerful support. Last year, a parishioner at St. Patrick Church in Roxbury MA donated to a mission priest through our Missionary Cooperative Plan. The priest had spoken about catechists, local men and women in Africa who run Sunday worship services in remote outstations in the absence of a priest. These catechists and their spouses walk over 10 miles to their mud-walled chapels. Father told the Boston parish that for $100, he could buy a bicycle so that their “commute” time was cut significantly, allowing the catechist to spend more time in faith formation. When a parishioner handed Father that exact amount after Mass, a promise was made: a bicycle would be purchased. Last June, I was privileged to visit the Archdiocese of Tororo, Uganda. After touring a parish complex, I was asked to cover my eyes and was led outside. There proudly stood the parish catechist, Joseph and his wife Robin with their new bicycle, a metal plate hanging from the cross bar that read: Donated by Cesar, Boston USA. Joseph said that every Sunday, he and Robin walked 13 miles to lead the worship service and faith formation classes at his outstation. Now thanks to Boston, they ride. He said as he pedals, he prays, “Thank you God, for Boston!” They now know we are all part of the same family no matter how far apart we live. This past week we welcomed to our offices in Braintree the newly-appointed National Director for the Pontifical Mission Societies, Father Andrew Small, O.M.I. Although he and I have spoken on the telephone, it was good to have the opportunity to meet him in person. We had a very enjoyable visit and luncheon with Cardinal Sean, after which Father Small met with our staff. He and I concluded with an interview on The Good Catholic Life, the live radio broadcast that originates from the Archdiocese on 1060 AM every afternoon between 4 and 5 o’clock. All in all, a very busy day! Father Small’s visit, and particularly the radio show, enabled us to focus on World Mission Sunday, the yearly celebration of the multi-focal and multi-cultural missionary activity of the Church. To listen to the show, click here. We had ample opportunity to “get out the word” on the importance of this event, at which we pay tribute to those countless men and women who have labored so generously to bring the Gospel to the far reaches of the world. This year we will pay special tribute to Maryknoll, the American Foreign Mission Society that was founded in Boston one hundred years ago. Here in the Archdiocese of Boston plans have long been underway for our own celebration. First, World Mission Sunday is meant to be observed in every parish. To that end, we provide Parish Leader Guides that contain suggestions for the celebration of the Liturgy, as well as excerpts from Pope Benedict’s message for the day and a letter from me encouraging participation by every Catholic in observing the day. In addition, I want to remind you of our Archdiocesan celebration, scheduled for October 23 at the 11:30 Mass at the Cathedral of the Holy Cross. Cardinal Sean is the main celebrant of the Mass and will be joined by missionary priests and bishops from all over the world. This is a truly multicultural experience, with the participation of choirs from the various ethnic communities that enrich our Archdiocese by their presence and Scripture readings rendered in various languages. Everyone is invited to join us for the Mass at the Cathedral and to receive a World Mission Rosary blessed by Cardinal Sean. More information is available at www.propfaithboston.org on our special World Mission Sunday page. You may also want to look at http://www.missioninscripture.org/ for some reflections on the readings for that day. In the parable of the Widow’s Mite, Jesus speaks to His followers of two types of people: a wealthy man and a widow. The wealthy man flaunts his riches, even in the temple, proclaiming his own greatness to any and all within the sound of his voice. He gives a great deal to support his congregation, but he can well afford it. No sacrifice is made. The character of the widow in Jesus’ story has great significance for His time. Having lost her husband, this woman now had no means of support. She lived on the margins of society, perhaps begging to survive. Yet, when it came time to give, she dug deep, sacrificing her last mite – all she had – so that others might benefit. This story was lived out in June on a mountainside in Uganda at the outstation called St. Tereza, where I was their “Honored Guest”. Though I protested that I was “just a girl from Hudson, MA 01749”, parishioners were determined to show me how grateful they were that I had come to their mud- walled church to share in their bi-annual Eucharistic celebration. At the end of Mass, I was instructed to sit in front of the altar as people formed a line to greet me. As villagers came forward, they shook my hand, giving me gifts. A man stood at my right to relieve me of my treasures after the giver was thanked. He piled up the eggs, avocados, coffee beans, bananas and five live chickens that were placed in my lap. An elderly woman approached, knelt before me and put her head in my lap, crying. I turned to my host, Fr. Cyril, to ask, “Why is she weeping?” His answer, “She has nothing to give you,” broke my heart. I lifted her face to tell her that because she had shared her faith and her liturgy with me, she had given me the world. Just then, she thought of the rosary she was wearing around her neck, as many Ugandan women do. Her eyes lit up as she took it off and placed it over my head. It was all she had. She gladly gave it not just to honor me, but to honor you as well. In that moment, she gave her precious possession to thank anyone who has ever prayed and sacrificed so that she could have a priest visit her village, even if it is only twice a year. The rosary that I gave in return paled in meaning. When many Catholics think of the foreign missions, they think immediately of The Society for the Propagation of the Faith. 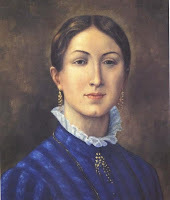 However, many people do not know that The Society for the Propagation of the Faith is one of four “Pontifical Mission Societies.” The other three are The Society of Saint Peter Apostle, The Holy Childhood Association, and the Missionary Union of Priests and Religious. I thought it might be useful to give a thumbnail sketch of two of these Mission Societies in my column this week. In a couple of weeks we will look at the other two. 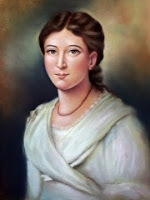 The Society for the Propagation of the Faith was founded in France in 1822 by Pauline Jaricot. She gathered her friends and family to raise prayerful and financial support for the missions. That apparently modest gesture has borne remarkable fruit, particularly here is Boston. Throughout our history as an Archdiocese, the Catholics of the Archdiocese of Boston have been wonderfully generous in supporting the missionary activity of the Church through the Society. This is particularly appropriate since, in our early days, our own Archdiocese was the beneficiary of prayers and support from the Catholics of France. The Society of Saint Peter Apostle was founded in France in 1889 by Stephanie and Jeanne Bigard, a mother and daughter. They responded to the need expressed by a French missionary bishop in Japan for assistance in educating seminarians to serve in his diocese. Today, SPA supports seminary education and the formation of religious brothers and sisters in the missions. My work as Archdiocesan Director during the past year has opened my eyes to the true universality of the Catholic Church in a way that no other experience in my priesthood could. As I meet with missionaries and read their letters on a daily basis I am constantly reminded of the commitment of clergy and laity alike to the sharing of the Gospel message. I am also blessed to be able to meet many of these missionaries in person. This week we welcomed to our offices Father Cyril Buyeera, the Director of the Pontifical Mission Societies in the Archdiocese of Tororo, Uganda. Father Cyril is on his first visit to the United States and is participating in our Mission Cooperative Program for this year. His presence is a forceful reminder of our connection in faith to people all over the world. We are truly “one family in mission” and it is indeed a blessing. For more information on the missionary activity of the Church see our website www.propfaithboston.org.